Availability: Estimated 08/13/2019. Subject to change. 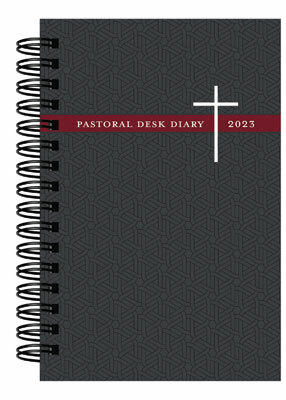 With everything from planning pages to lectionaries, the Pastoral Desk Diary is the ultimate planner and must-have for all Lutheran pastors, published especially to replace your discontinued desk diaries. Estimated 08/13/2019. Subject to change. This old dog did not want to learn any new tricks so I appreciate the exact same format as the insurance company's desk diary. One change for next year would be to make Sunday the first day of the week in the "Advance Appointments" section as it is throughout the rest of the diary (and in Scripture).